DURHAM -- Durham residents living within 10 kilometres of a nuclear plant could soon have potassium iodide pills distributed to their homes. 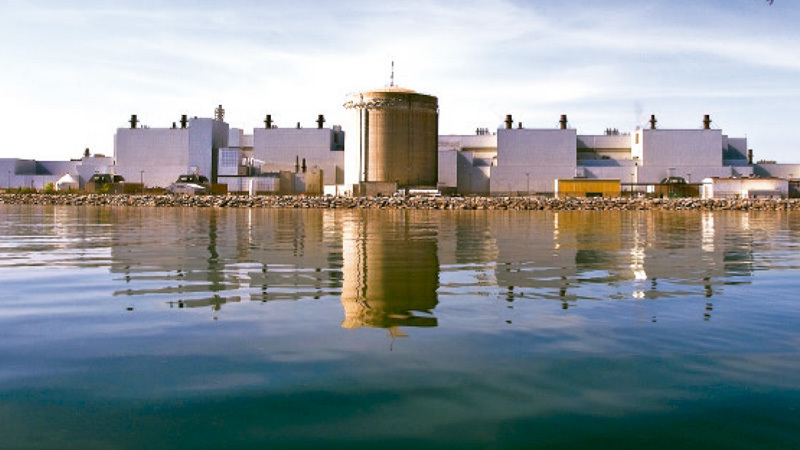 The move comes after the Canadian Nuclear Safety Commission proposed a new requirement for the pills to be pre-distributed to all residents living within the 10-kilometre evacuation zone, along with educational materials. Bureaucratic red tape has held up the process, prompting local politicians to take matters into their own hands. On Sept. 17 regional council passed a motion moved by Pickering Councillor Jennifer O’Connell and Ajax Councillor Colleen Jordan, that calls on local officials to implement the program in Durham by the end of 2015. Coun. Jordan noted the pills are most effective when taken quickly and said leaving the pills at pharmacies could create a mob scene in the event of a nuclear disaster. “It’s going to create a lot of chaos in the areas where pills are stockpiled,” she said. Members of Durham Nuclear Awareness praised the council decision, saying it follows best practices in other communities. In Quebec and New Brunswick, where Canada’s other nuclear plants are located, it is standard practice to distribute the pills to homes and businesses within a set radius every five years. “We’re pleased Durham regional council is telling the Ontario government that public safety is a priority. This is the first concrete step we’ve seen to update Durham’s nuclear emergency plans since the Fukushima disaster in 2011,” said DNA spokeswoman Gail Cockburn. Potassium iodide pills are currently available to Durham residents at specific pharmacies, and are also stockpiled at local schools, child-care centres and health-care facilities. However, focus group research done for Ontario Power Generation revealed very few Durham residents had obtained the free pills. Potassium iodide works by protecting the thyroid, the part of the body most sensitive to radiation. The pills are most effective when taken immediately before or after a radiation leak -- but they can have severe side effects, so should only be taken in an emergency. Pickering Mayor Dave Ryan told regional council that Ontario Power Generation should be responsible for the cost and distribution of the pills, not the municipalities. OPG spokesman Neal Kelly says details are currently being ironed out between the various agencies involved. “We will work co-operatively with the other agencies to develop plans that meet the needs of Durham Region residents,” he said. The recommendation from the CNSC is part of an ongoing review of Canada’s emergency preparedness in the wake of the 2011 Fukushima disaster in Japan. The motion passed by council directs the Durham Emergency Management Office and Durham’s medical officer of health to work with the Ontario government and CNSC to get the program off the ground. Reporter Jillian Follert covers the City of Pickering and the Region of Durham for Metroland Media Group's Durham Region Division.